^ Your introduction to Arsenal Football Club | The Club | Arsenal.com 互联网档案馆的存檔，存档日期2013-11-14. ^ 4.0 4.1 The Football League | Stats | Records | Records – League | Draws | DRAWS 互联网档案馆的存檔，存档日期2013-10-14. ^ Barclay, Patrick. Arsenal join the Invincibles. The Daily Telegraph (London). 16 May 2004. ^ 7.0 7.1 7.2 7.3 The Football League | Stats | Records | Records – League | Goals | GOALS 互联网档案馆的存檔，存档日期2012-03-20. ^ Sequences | Club Records | History | Arsenal.com 互联网档案馆的存檔，存档日期2012-05-10. ^ Football League Matches: Arsenal Only Draw, Record Scoring by Stockport. The Manchester Guardian. 8 January 1934: 3. ^ 12.0 12.1 12.2 12.3 12.4 English Premier League : Records. statto.com. [19 November 2011]. （原始内容存档于7 November 2011）. ^ Arsenal's A to Z... L is for Ljungberg | Arsenal.com 互联网档案馆的存檔，存档日期2012-10-15. ^ Peter Shilton: Biography. [8 April 2007]. （原始内容存档于17 May 2007）. Throughout his amazing 30-year career he played for 11 English league clubs through which he accumulated a record 1005 League appearances. ^ Barnsley schoolboy makes history. BBC Sport. 1 October 2008 [1 October 2008]. ^ Hodgson, Guy; Searl, Liz. Football's fastest goal claimed. The Independent (London). 8 December 1995. ^ Barber, David. Fastest Cup hat-trick. The FA. 3 February 2010 [4 February 2010]. ^ FA Cup Heroes. The Football Association. [2013-07-10]. （原始内容存档于2012-04-25）. ^ 20 November – Mac o' Nine Tales[失效連結], On This Football Day. ^ Gills' Freeman makes Cup history. BBC Sport. 12 November 2007 [15 January 2009]. ^ Teenager breaks FA Cup record on his debut. Loughborough Echo. 10 September 2011 [10 September 2011]. ^ Hughes, Ian. Kidderminster 2–3 Stevenage. BBC News. 12 May 2007. ^ Bradford City penalty shoot-out record following history-making victory over Arsenal. London: Telegraph Media Group Limited. 12 December 2012 [29 May 2013]. ^ LMA's Longest Serving Managers – Historical. League Manager's Association. [9 December 2011]. （原始内容存档于6 January 2012）. 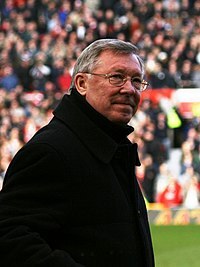 ^ 31.0 31.1 UNITED under Sir Alex FERGUSON. StretfordEnd.co.uk. [8 August 2010]. Football League Records: Points. The Football League website. [2 December 2006]. （原始内容存档于2006年12月7日）. Football League Records: Wins. The Football League website. [2 December 2006]. （原始内容存档于2007年1月8日）. Football League Records: Losses. The Football League website. [2 December 2006]. （原始内容存档于2006年10月17日）. Football League Records: Draws. The Football League website. [2 December 2006]. （原始内容存档于2006年12月7日）. Football League Records: Goals. The Football League website. [2 December 2006]. （原始内容存档于10 February 2007）. Football League Records: Appearances. The Football League website. [2 December 2006]. （原始内容存档于2006年12月7日）. Football League Records: Disciplinary. The Football League website. [2 December 2006]. （原始内容存档于2006年12月7日）. Football League Records: Attendances. The Football League website. [2 December 2006]. （原始内容存档于17 December 2007）. Historical Rankings of English Football Clubs: Points. Aboutaball.co.uk. [2 December 2006]. （原始内容存档于6 January 2007）.